The William Bowie Lecture honors the life and work of geodetic engineer and AGU’s first president, William Bowie. This Geodesy section named lecture is the premier scientific activity of the Geodesy section held during the AGU Fall Meeting. The Bowie Lecture is webcast and made available as an archived presentation on the AGU website. The Bowie Lecture series was inaugurated in 1989 to commemorate the 50th presentation of the William Bowie medal, which is AGU’s first medal and highest honor given annually in recognition of outstanding contributions to fundamental geophysics and unselfish cooperation in research. Section named lectures that are established in honor of a past Bowie medalist are also categorized as part of the Bowie Lecture series. In recognition of outstanding contributions to fundamentals geophysics and unselfish cooperation in research. All Section Named Lectures are not required to follow a nomination cycle process (i.e. submit a nomination package). Sections have the flexibility to adopt what process will be serve their communities in seeking their lecture recipients. For nomination requirements, please contact William Bowie Chair, M. Meghan Miller. The Bowie Lecture is by invitation only. The Geodesy Section President and President-Elect accept suggestions from the community for Bowie Lecture candidates. Please send suggestions by email with the candidate’s name and a brief (one paragraph) rationale to the William Bowie Chair, M. Meghan Miller. 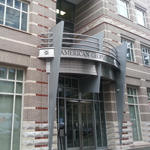 AGU’s Honors Program aligns with AGU’s mission, vision, core values and strategic plan. The Bowie Lecture series was inaugurated in 1989 to commemorate the 50th presentation of the William Bowie medal, which is AGU’s first medal and highest honor given annually in recognition of outstanding contributions to fundamental geophysics and unselfish cooperation in research. Section named lectures that are established in honor of a past Bowie medalist are also categorized as part of the Bowie Lecture series. Select the recipient of the AGU Geodesy Bowie Lecture; the final decision is subject for approval of the AGU Geodesy Award/Lecture Chair. Conform to AGU conflict of interest policies and protocols for selection committees. State, as part of the award recommendation to the AGU Geodesy Bowie Lecture Chair, the number of candidates considered. 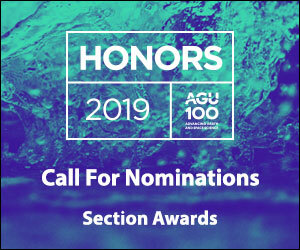 In addition to selecting the recipient of the AGU Geodesy Lecture, the Award/Lecture Committee members should work with the Geodesy Executive Committee and Advisory Board to increase the number of nominations of viable candidates in underrepresented groups. 2012 Reinhard F. Rummel - How Attractive is our Planet? 2005 R. Steve Nerem - The Record of Sea Level Change from Satellite Measurements: What Have We Learned?